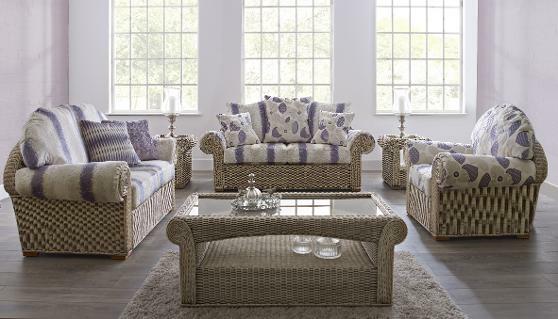 The gorgeous Marino combines the comfort and style of lounge furniture with the practical properties of cane, making it perfect for making your conservatory a truly flexible living space. New for 2015, the Marino features upholstered arms, with covers fully removable for cleaning. The innovative system means no unsightly fastenings and a perfect finish. Shown with Iris and Halo fabrics.